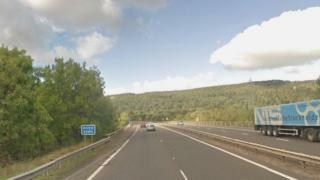 Police have reopened the M90 motorway just south of Perth about three hours after a multi-vehicle crash. The collision happened between junctions 9 and 10 at about 13:50. Earlier reports suggested between three and five vehicles may have been involved. Police said there were several injuries but none were thought to be life-threatening. The northbound stretch of road was reopened at about 16:45.